This Web Site is intended only for consumers wishing to order products (Products) sold by Respironics Colorado, Inc. (Philips) online for delivery in the United States of America. Philips does not accept orders for delivery outside the United States of America. The terms and conditions under which the Products are offered for sale on this Web Site are set out below. By clicking on the PLACE ORDER button, you accept and agree to be bound by these terms and conditions. Philips reserves the right to change these terms and conditions at any time without prior notice. Such changes however will have no effect on orders that were submitted before posting of such revised terms and conditions on this Web Site. 2.1. To place an order you must be 18 years of age or over, be accessible by telephone and have a valid email address. 2.2.1. Filling in the order form on the Web Site after logging into or creating your personal account and clicking on the appropriate submission button. 2.3. When you place your order, Philips will issue you with an Order Number. Please note the Order Number is supplied for reference purposes only and does not constitute our acceptance of your order. 2.4. By placing an order, you make an offer to us to purchase the Products you have selected on these terms and conditions. Philips may or may not accept your offer at our discretion or may reduce the number of Products we accept to deliver to you. 2.5. If Philips accepts your order, Philips will notify you of our acceptance by issuing an order confirmation. Philips will send your order confirmation to you by e-mail and this will be effective as of the date on which the order confirmation is sent to you. If Philips cannot accept your order, Philips will attempt to contact you by email or telephone. 2.6 If your order contains a Product which requires a physician’s prescription, the order will not be processed until a valid prescription is received and verified. If Philips cannot process your order, Philips will attempt to contact you by email or telephone. 2.7. Please note that the on-screen display of the colors, designs, and products may differ from the actual appearance or size of products offered on the Web Site. 4.1. All prices are in US dollars. Prices shall be those prices published on this Web Site at the time you submit your order. The prices published on the Web Site are exclusive of sales tax, shipping and handling costs and fees, which are for your account. These costs will be calculated separately as applicable and specified on the order form then added to the total price of the order. The total price stated on the order form you submit shall be the total amount payable by you for the Products including all applicable taxes, handling and shipping charges. 4.2. Delivery costs, where applicable, are payable by you as indicated on your invoice. 5.1. You may pay for your Products by the methods of payment displayed on the payment paragraph of the Web Site. 5.2. You must pay in USD currency. 5.3. If you are paying by credit card, then you must supply your credit card details when you place your Order. Your credit card will be charged when we issue your invoice or at the time of shipment of your Products. Philips will not supply the Products to you nor perform services until your credit card issuer has authorized the use of your card for payment of the Products and/or services ordered. If Philips does not receive such authorization Philips shall inform you accordingly. Philips reserves the right to verify the identity of the credit card holder by requesting appropriate documentation. 6.1. Orders placed on this site can only be delivered within the United States of America. Philips cannot ship to Alabama, Montana, North Dakota, and Tennessee. 6.2. Philips will deliver the Products to the delivery address you specified in the order form and in accordance with the delivery option you chose. In the event you order various Products to be delivered to different addresses, you will need to submit a separate order form for each delivery address. Any delivery or shipment dates given by Philips are best estimates only and Philips shall not be liable for any loss, damage, costs or expenses for failure to deliver in accordance with the delivery or shipment dates given. In the event any of the Products ordered is out of stock, this may mean the whole order is delayed. If so, an estimate of the delay will be given by e-mail. 6.3. Title to and risk of loss of your Products will pass to you on delivery of the Products. 6.4. When Products have been delivered to the carrier Philips will send you a confirmation of shipment by e-mail to the email address you have indicated on the order form. 7.1. You may return the Product to Philips or cancel the entitlement to services and obtain a refund of the price of the returned Product or service entitlement, provided you contact Philips within thirty (30) calendar days of the date of delivery of the Product. Philips will provide you with a prepaid shipping label and instructions for return. Your refund will be processed once Philips has received and verified the Product. You must use the prepaid shipping label provided by Philips to return the Product to us; otherwise, you will be responsible for the shipping costs. If a Product is sold as part of a product combination (bundle) in which other products are offered for free or at a discount compared to their normal price, the bundled product must at Philips request be returned with the Product purchased. Philips reserves the right to raise an invoice in respect of any free or discounted bundle product not so returned. b) A personalized and/or customized product made in accordance with your specifications. You may not obtain a refund for a service if you have commenced use of a/the service. 7.1.1. If a Product was supplied in error, is incomplete or faulty and you believe that you are entitled to a replacement or repair in accordance with paragraph 8 below, please call Philips at: 1-800-659-9235 between 9:30 AM EST and 6:00 PM EST Monday to Friday, excluding holidays, to make arrangements for such replacement or repair. The Product(s) are returned in accordance with paragraph 7.2 below. Please note that while the Product(s) remain in your possession you are under a duty to ensure that the Product(s) are kept safe and secure. (i) Please call Philips at: 1-800-659-9235 between 9:30 AM EST and 6:00 PM EST Monday to Friday, excluding holidays, to make arrangements for your return. You will then be provided with an RA (Return Authorization) number. (ii) Philips will provide a prepaid shipping label and instructions for returning the item. (v) Please note that Philips reserves the right to reject any Product(s) that are not returned in accordance with the provisions set out above and particularly within paragraphs 7.1.2 and 7.2. 7.3. Repairs or Replacements Beyond Warranty: For Products returned for repair or replacement that are not covered under Product warranty, Customer shall contact Philips for instructions and assistance. Products may only be returned by Customer to a designated repair facility, when accompanied by an RA number issued by Philips. Freight expenses for Products returned by Customer will be paid by Customer. Customer shall pay for freight cost incurred for shipment back to Customer for Products repaired or replaced outside of warranty. Philips or Philips’s third party contractor’s standard repair charges are the Customer’s responsibility in addition to all shipping expenses. PHILIPS WARRANTS THE PRODUCTS AS SET FORTH ON THE WARRANTY CARD SUPPLIED WITH THE PRODUCT AND/OR AS MAY BE STATED ON THE WEB SITE. WITH RESPECT TO SOFTWARE, NO WARRANTY SHALL APPLY OTHER THAN AS EXPRESSLY SET FORTH IN THE APPLICABLE LICENSE AGREEMENT. SHOULD THE PRODUCT SUPPLIED BY PHILIPS NOT COMPLY WITH THE APPLICABLE WARRANTY PHILIPS SHALL, AT ITS OPTION AND EXPENSE, UNLESS PROVIDED OTHERWISE IN THE APPLICABLE WARRANTY, REPAIR OR REPLACE THE PRODUCT OR REFUND THE PURCHASE PRICE UPON RETURN OF THE PRODUCT. EXCEPT AS EXPRESSLY SET OUT IN THESE TERMS AND CONDITIONS, TO THE FULLEST EXTENT PERMITTED BY LAW PHILIPS HEREBY DISCLAIMS ANY AND ALL WARRANTIES, WHETHER EXPRESS OR IMPLIED. THE LIMITED WARRANTY SET OUT ABOVE WILL NOT AFFECT OR PREJUDICE YOUR STATUTORY RIGHTS. FOR NON PHILIPS-BRANDED PRODUCTS (INCLUDING NON PHILIPS BRANDED PRODUCTS CONTAINED IN PRODUCT BUNDLES OR PROMOTIONS), ALL WARRANTY CLAIMS, WHERE RELEVANT, ARE TO BE MADE IN ACCORDANCE WITH THE TERMS AND CONDITIONS OF ANY STANDARD MANUFACTURERS WARRANTY WHICH MAY BE INCLUDED WITH THE PRODUCTS PURCHASED. IN RELATION TO ANY EXISTING MANUFACTURERS WARRANTY, ANY WARRANTY CLAIMS SHOULD FIRST BE MADE EITHER DIRECTLY TO THE MANUFACTURER OR TO PHILIPS BY PHONE. Products, or parts of Products, which have been subject to abuse, misuse, accident, alteration, neglect, negligence, improper operation, unusual physical, thermal or electrical stress, Acts of God or other acts not within the control of Philips, or unauthorized installation, repair or modification are not covered by warranty and Philips shall have no obligation with respect to such Products or parts of Products. If Philips determines that the Product is not covered by the limited warranty, then Customer shall pay Philips the charges for repair or replacement of the Product in addition to all shipping expenses. The limited warranty shall not apply to (a) normal routine service items (such as filters, etc. ); (b) disposable items (such as nasal cannulas, etc. ); (c) use of the Product with components, accessories or parts other than those expressly approved by Philips as discussed in the Product user manual, or (d) defects caused by effects of normal wear and tear. THE LIMITED WARRANTY SET FORTH HEREIN AND IN THE WARRANTY STATEMENT PROVIDED WITH THE PRODUCT IS EXCLUSIVE AND IN LIEU OF ALL OTHER WARRANTIES OR REPRESENTATIONS, EXPRESS OR IMPLIED, EITHER IN FACT OR BY OPERATION OF LAW, STATUTORY OR OTHERWISE, INCLUDING WARRANTIES OF MERCHANTABILITY, FITNESS FOR A PARTICULAR PURPOSE AND NONINFRINGEMENT. NO REPRESENTATION OR STATEMENT OF PHILIPS MAY CHANGE OR ALTER THIS LIMITED WARRANTY, UNLESS AGREED TO AND AUTHORIZED IN WRITING BY PHILIPS. 8.4. IF YOU ARE A CONSUMER, THE WARRANTIES REFERRED TO ABOVE ARE IN ADDITION TO AND DO NOT AFFECT YOUR STATUTORY RIGHTS. 9.1. These terms and conditions set out the full extent of our obligations and liabilities in respect of the supply of the Products (and performance of telephone support and warranty services) and the performance of any Services. 9.2. Except where set out in paragraph 9.3 below, there are no warranties, conditions or other terms that are binding on Philips regarding the supply of Products or the provision of Services except as expressly stated in the contract. 9.3. Any warranty, condition or other term arising out of or in connection with the supply of Products and/or the provision of Services which might otherwise be implied in or incorporated into the contract by statute, common law, laws applicable in the country where you purchased the Products or Services or otherwise (including without limitation any implied term as to quality, fitness for purpose, reasonable care and skill) is hereby expressly excluded to the maximum extent permitted by law. In particular, Philips will not be responsible for ensuring that the Products are suitable for your purposes. 9.4. Nothing in the contract shall limit or exclude Philips liability (i) for death or personal injury caused by our negligence or (ii) for fraud or (iii) any breach of the obligations implied by applicable compulsory national laws as to title or (iv) any liability which cannot be excluded by law. 9.5. SUBJECT TO CLAUSE 9.4 PHILIPS WILL NOT BE LIABLE UNDER THE CONTRACT FOR ANY LOSS OF INCOME, LOSS OF PROFITS, LOSS OF CONTRACTS, LOSS OF DATA OR FOR ANY INDIRECT OR CONSEQUENTIAL LOSS OR DAMAGE OF ANY KIND HOWSOEVER ARISING AND WHETHER CAUSED BY TORT (INCLUDING NEGLIGENCE), BREACH OF CONTRACT OR OTHERWISE. PHILIPS MAXIMUM AGGREGATE LIABILITY UNDER THE CONTTRACT WHETHER IN TORT (INCLUDING NEGLIGENCE) OR OTHERWISE SHALL IN NO CIRCUMSTANCES EXCEED THE AMOUNT PAYABLE BY YOU TO PHILIPS IN RESPECT OF THE PRODUCT(S) AND/OR SERVICES IN QUESTION. 9.6. This does not affect your statutory rights as a consumer, nor your right to return the Products as per clause 7. Customer shall defend, indemnify, and hold harmless Philips from and against any liability, damage, loss, or expense (including reasonable attorneys’ fees and expenses of litigation) in connection with any claims, suits, or proceedings arising out of or relating to the use or other exploitation of the Products, unless proximately caused by the sole gross negligence or willful misconduct of Philips. Customer agrees that the Products are for use by Customer only. Customer acknowledges that some Products purchased from Philips are medical devices regulated by the Food and Drug Administration (“FDA”). Sale or rental in the United States of such Products require a medical prescription from an authorized medical authority. Customer agrees that it will not sell or transfer the Products to any other person. Customer agrees that it will not sell, export, or re-export, Products to any third party in any country other than the Customer’s domestic country, unless given written permission to do so by Philips and unless Customer first obtains all appropriate U.S. and foreign government licenses and permissions. Customer agrees to comply with all state, federal, and foreign government laws and regulations governing the provision of medical devices or home oxygen. By accepting these Products, the Customer certifies it is and shall use the Products in full compliance with all applicable laws and regulations, including all state and federal regulations.  Philips owns or licenses all right, title and interest in and to the Product trademarks, and other identifying marks and any associated goodwill (“Trademarks”). Philips does not grant and Customer shall not receive any right, title or interest in or to any of the Trademarks. Furthermore, Philips and its licensors retain all proprietary rights in and to all designs, engineering details, and other technology and information pertaining to the Products. The Products are offered for sale and are sold by Philips subject in every case to the condition that such sale does not convey any license, expressly or by implication, to manufacture, duplicate, or otherwise copy the Products. On the website with the Contact Us form. 14.1. Your transaction records are accessible to you through your registered customer account so that you may check the status of your order(s) and check the order content. Philips will make every effort to perform Philips obligations under the contract. However, Philips cannot be held responsible for delays or failure to perform if such delay or failure is caused by any circumstances beyond our reasonable control. In the event of a delay, Philips will perform our obligations as soon as reasonably possible. Philips will try to solve any disagreements quickly and efficiently. If you are not happy with the way Philips deals with any disagreement and you want to file court proceedings, you must do so within United States law and courts. The applicability of the United Nations Convention on Contracts for International Sale of Goods is hereby explicitly excluded. 17.1. Neither Philips failure nor your failure to enforce any term of the contract constitutes a waiver of such term. Such failure shall in no way affect the right later to enforce such term. 17.2. The invalidity or unenforceability of any provision of the contract shall not adversely affect the validity or enforceability of the remaining provisions. You agree that if Philips, in its sole discretion, determines that any material you submit may not meet these content requirements, Philips shall reject your order. In addition, in the event you violate one of these Content Restrictions and you intentionally publicize such violation, you acknowledge that Philips will suffer substantial damage to its reputation and goodwill and that you can be liable for causing such substantial damage.